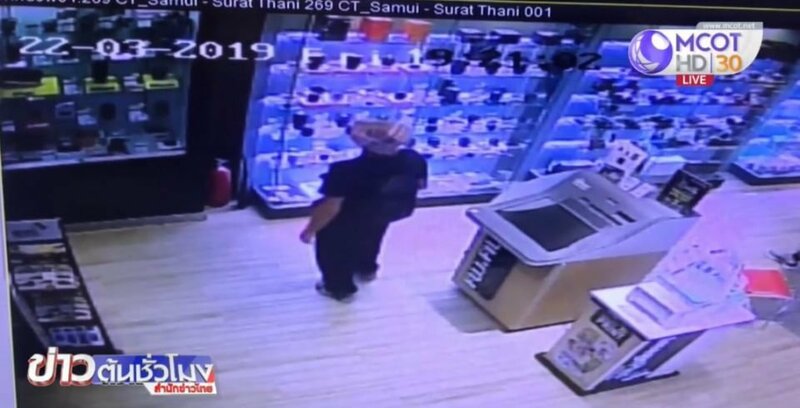 TNA reported that CCTV footage from a shop on Koh Samui showed a foreigner stealing a Sony R III camera worth 99,990 baht on Friday. Sales staff Wipharat Thongorn only noticed the camera was missing next morning. Bo Phut police have received a report from the shop. The man is thought to be about 40, white and 170 cm tall. Hey, Lets get this on the national news! Especially here at election time. Maybe some traction on that distraction! Well, it's not easy to do your job and to play with your phone at the same time. You asked for this to happen! How do you work that out .The man took something with out paying for it. A super store has many thing on display openly for customers to see but it not yours so leave it be. Hope he's found. I wonder if he was suffering from depression which drove him to do it? So where is the CCTV footage of the crime scene? Like the Thai girl stole the phone in CM saying she was a disorder. Maybe he also disorders case, that made him stole it need money for booze, full moon party, food and take care, Thai girlfriend. It is sound like the Thai really hate foreigners nowadays. Err...theft happens. Very few stores leave an article of that value without any security protection. Indeed... this case is very similar to the case where the girl stole some phones (about 10 in total I think)... It will be interesting to see if the Female Thai thief and the Foreign thief (when caught) incur the same penalties and fines. The farang remains a thief, no matter if the camera was secured or not or anything else. Today he steals a cam from a store, tomorrow he could steal your bike. Jail him in the ladyboy unit for a week to shake him up a bit and definately a long term deportation. Enough scum in Thailand, local or foreign, so no need for more.